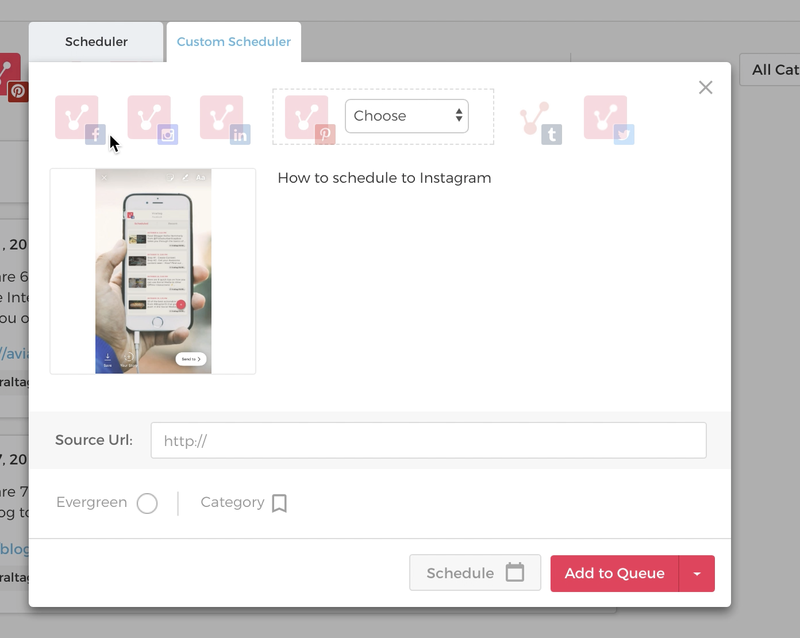 Once you click on the 'Upload images' button and select an image, the thumbnail gets populated with the image you choose. 2. 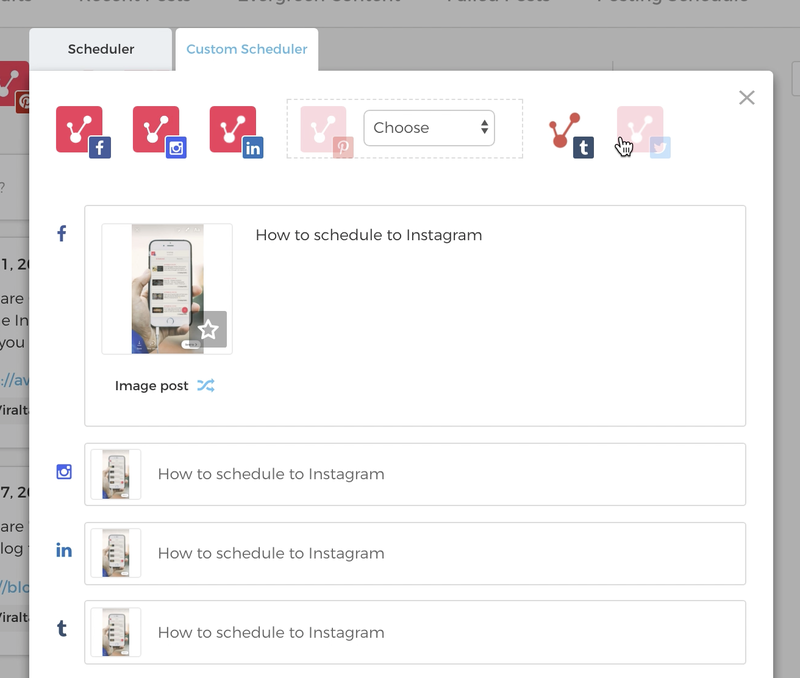 Clicking on a social profile icon, brings up a box allowing you to make edits for that particular social profile. 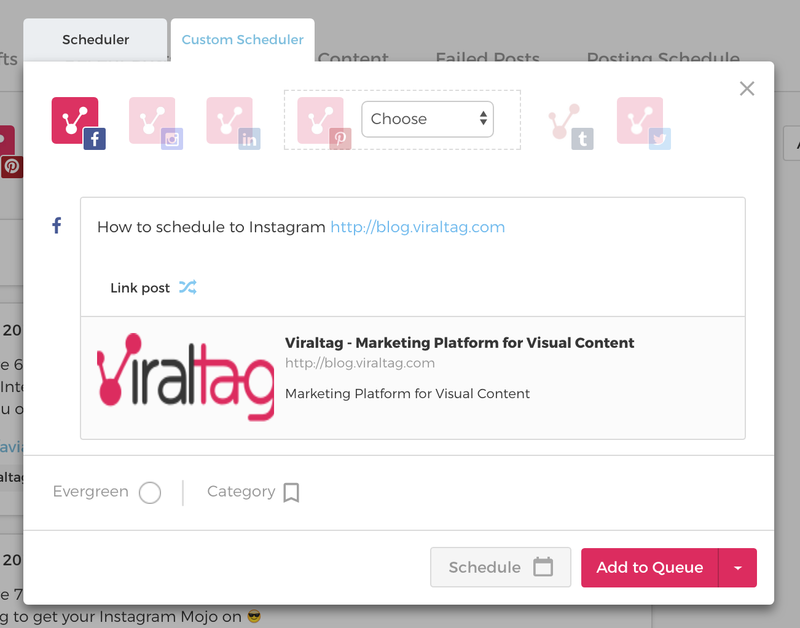 Or as a 'Link Post', once you add in a source URL and toggle over to the link post view. 3. 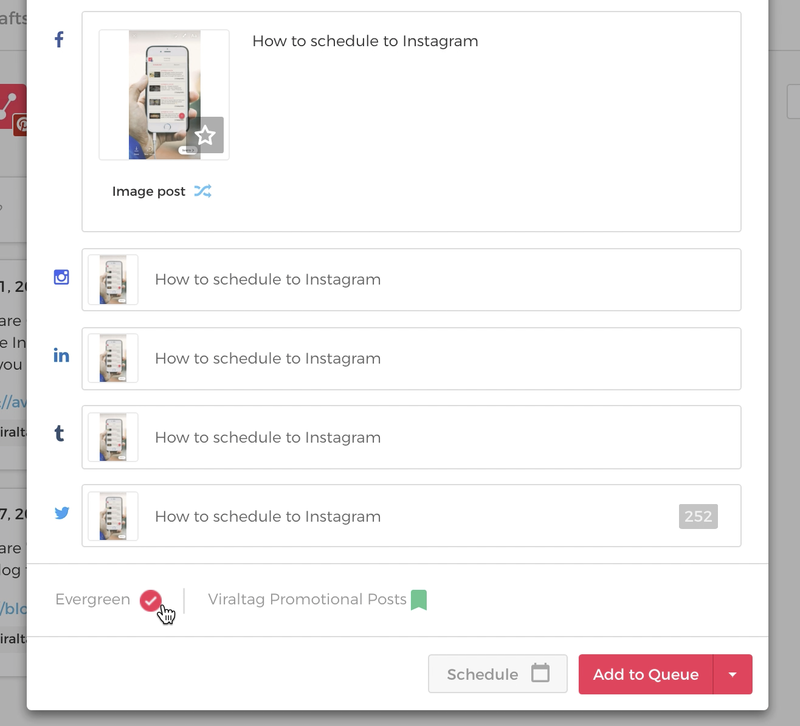 Clicking on more social profiles clones the post, i.e makes a duplicate with the same image and description. 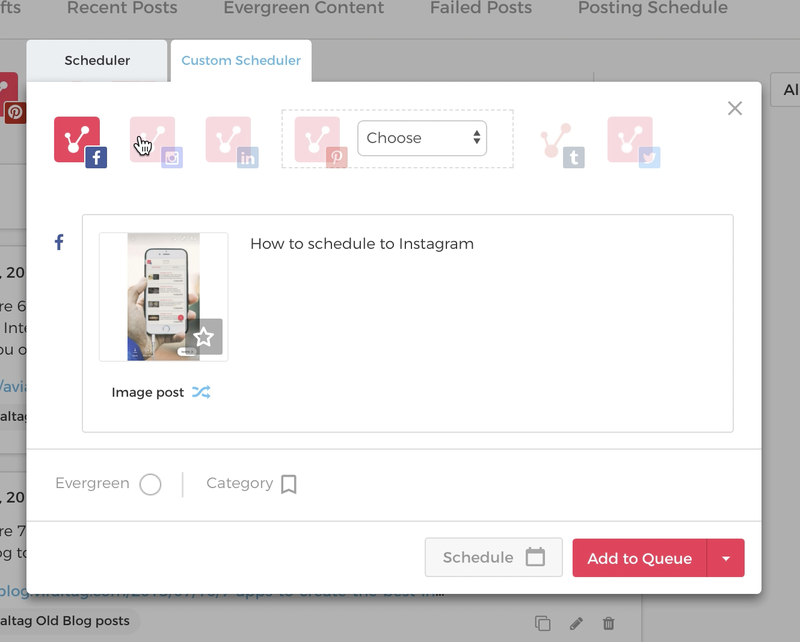 If you want to send out similar content to all social profiles, using the Custom scheduler makes it faster for you. 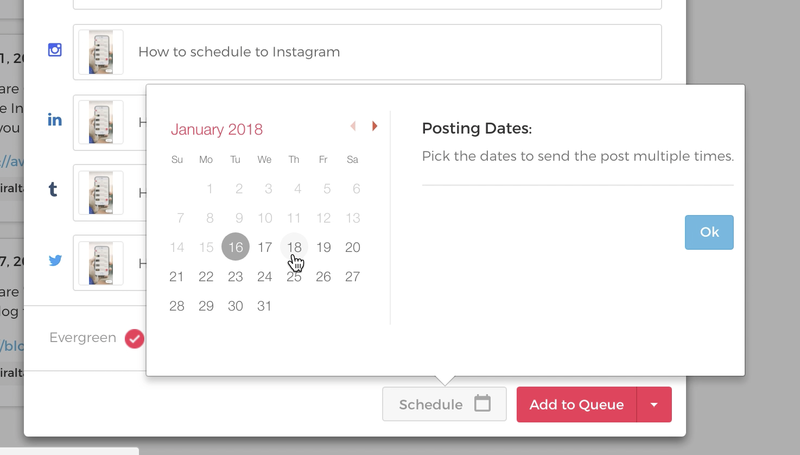 You could also toggle over to each social profile box and tailor content specific to each social profile in the same window. 4. 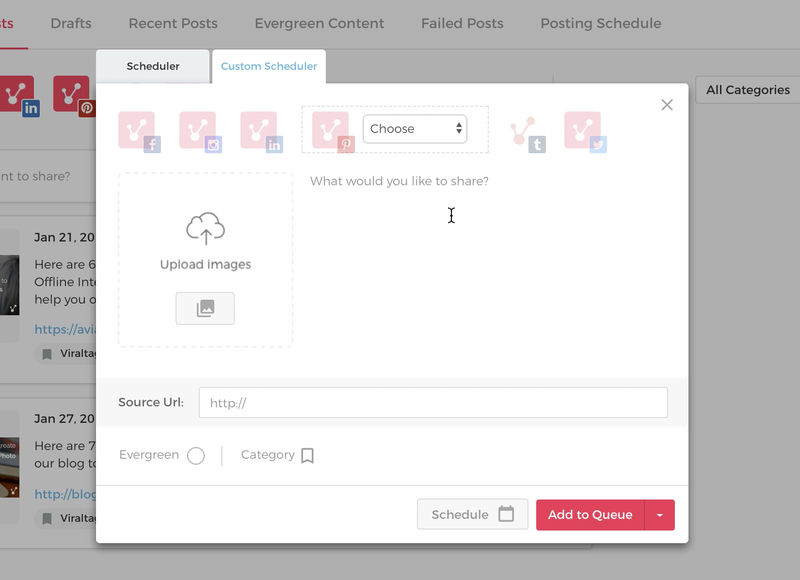 You can bulk assign the posts a Category and bulk mark them 'Evergreen. Or add them to your queue, by clicking on 'Add to queue'.